For 70 years, Luminarc has offered the French art of living into everyday life. When Jacques Durand created Luminarc in 1948, he wanted too ffer clients all over the world the best products at affordable prices. Today, Mr Durand's commitment is being renewed with a new Luminarc that's simple, trendy and smart. With a new logo, a new touch, new products and new categories, Luminarc continues to bring quality to the world's tables and kitchens so that everyone can enjoy the very best of French style. To stimulate up your tableware shelf and make it more attractive to customers by featuring a brand with an excellent reputation and regularly renewed product range. To win over new customers with permanent or promotional offers of items that meet their needs, and encourage them to make impulse purchases of stylish products that inspire their own creativity. For unique design look no further than the Sterling Tumbler. 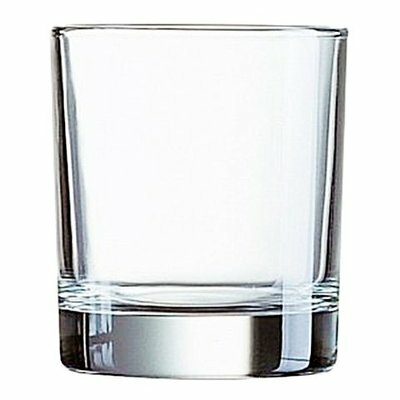 With its square base, it stands out in the world of the circular tumblers. The perfect addition to a contemporary table setting, these stylish and practical tumblers are ideal for water, juice or spirits.